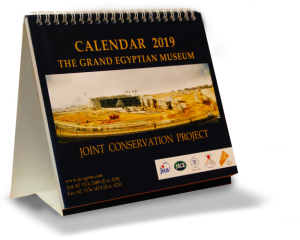 The Grand Egyptian Museum, Joint Conservation project (GEM-JC project) is the continuation of the cooperation between Japan International Cooperation Agency (JICA) and the Grand Egyptian Museum (GEM) that started in 2010. 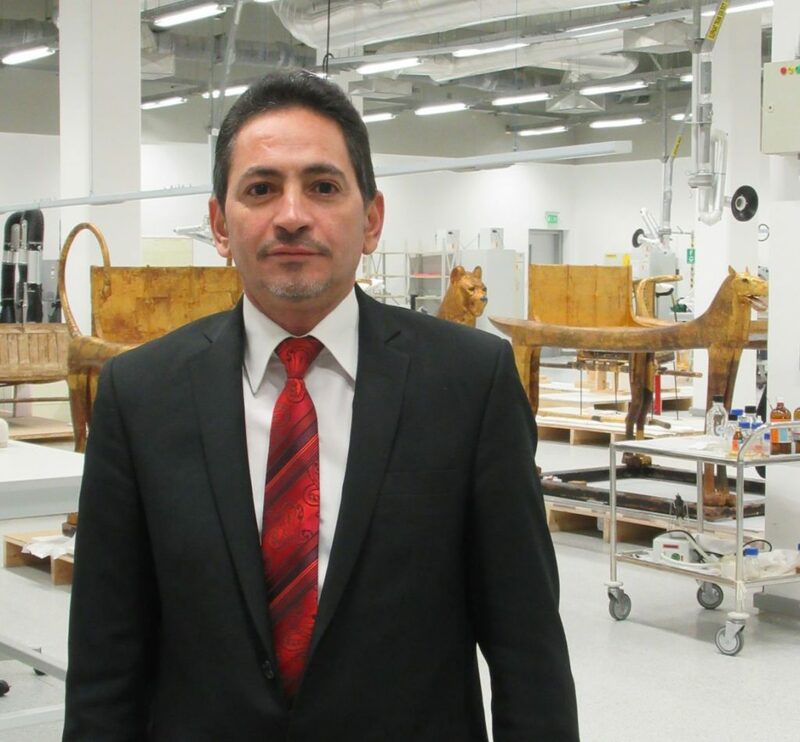 More than 40 Japanese and 60 Egyptian experts are participating in this project, aiming to transport, investigate and conserve 72 artifacts targeted by the project to be later displayed at GEM. These artifacts are categorized into 3 groups according to their materials: wood, textile and mural paintings. The wood artifacts include 5 chariots and 3 ritual couches that belong to King Tutankhamun’s collection. The textile artifacts include 57 objects that also belong to the golden King. In addition, 6 sets of mural paintings that were extracted from Ini-Sneferu-Ishetef mastaba are included in the mural paintings groups. The project started with the first Joint Coordination Committee (JCC) between the Japanese and Egyptian sides on December 16, 2016, under the supervision of Dr. Tarek Tawfik, the general supervisor of GEM, and the minister of Antiquities Ph.D. Khaled Al-Anany. The project also equips GEM conservation center (GEM-CC) with the latest materials and devices needed in the diagnostic analysis of artifacts, which greatly helps in creating the most suitable conservation plans for each artifact. This project helps in achieving the goal of GEM-CC, to increase the capacity development of the GEM-CC experts, by cooperating and exchanging experience with different international and interdisciplinary experts.